If you like spending time in the garden during summer months but want to make the most of it during colder months too, a log cabin can offer the perfect, cosy retreat. 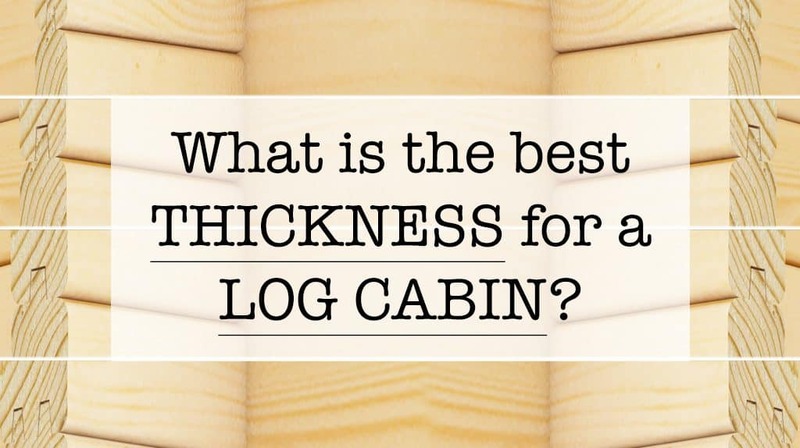 The best thickness for your log cabin will depend on how you want to use it and how much you want to use it. 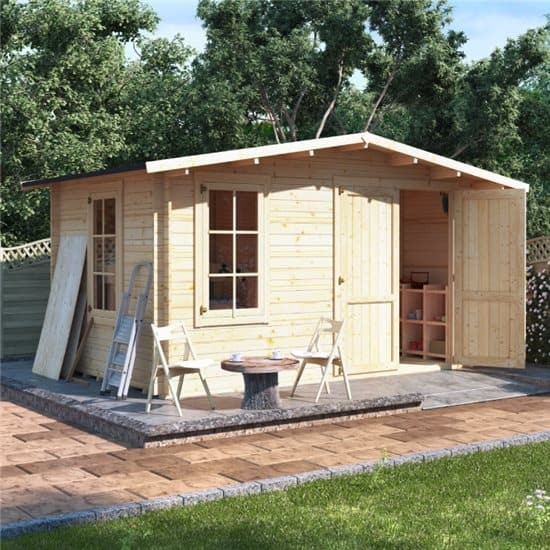 A log cabin can create the perfect space for hobbies, working or relaxing in your garden. There are pros and cons to each log thickness so it’s important to choose the right one. Once you know which thickness is suited to your needs, you can choose a cabin which is equipped for how and when you want to use it. The cheapest log thickness option is the 19 mm. This is one of the most popular options due to its budget-friendly price. As it has an interlocking construction, the 19mm log thickness offers good durability but it is not as weatherproof as some of the thicker log cabin options. This size thickness is suitable for summerhouse cabins which will be used in the warmer months and a single glazing option is recommended. If you’re looking for a space to relax with friends and family during spring and summer, a 19 mm cabin is an ideal choice. The next size up is the 28 mm log cabins. 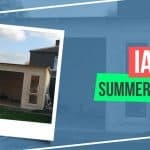 These buildings have a stronger build and are ideal for more premium style summerhouses. However, these, too, are only recommended for Spring and Summer use. 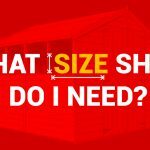 If you have a workshop which you use for DIY projects during warmer months, a 28 mm building is a great choice. After this, there are the 35 mm log cabins. These offer good strength and are recommended for use in Autumn as well as Spring and Summer. With a building you’ll be using for three of the four seasons, you should opt for double glazing. These are more expensive buildings than the 28 mm and after worth paying the extra to upgrade to 44 mm log cabins. 44 mm log cabins are constructed using double tongue which is 57% thicker than 28 mm. These buildings are more equipped for harsh weather conditions and offer great durability for heavy duty uses. Double glazing is also recommended to provide good insulation. If you’re looking for a building which is built for all four seasons, you should opt for a 70 mm log cabin. The largest log thickness available for cabins is the 70 mm option which is available on the bigger cabins. These use extra purlins to make the building strong and supported as well as weatherproofing the cabin from weather conditions all year round. 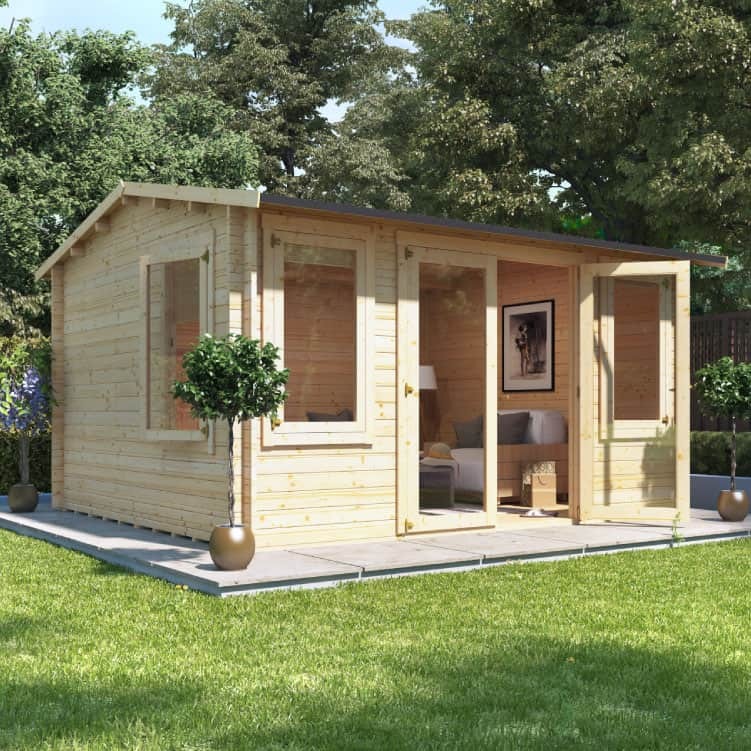 If you want somewhere to work or relax in all year round, a 70 mm cabin is the perfect choice. These are often much more expensive, so if you don’t intend to use the cabin during winter, you should choose a smaller thickness such as the 44 mm or 28 mm. 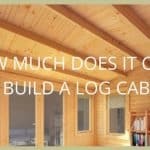 Now you know the top sellers for each log cabin thickness, you can take a more detailed look at their features. When you’re looking for a garden building which suits your garden and your needs. Choosing the right design and features is essential and varying log cabin thicknesses means you can find the ideal building at the right price. 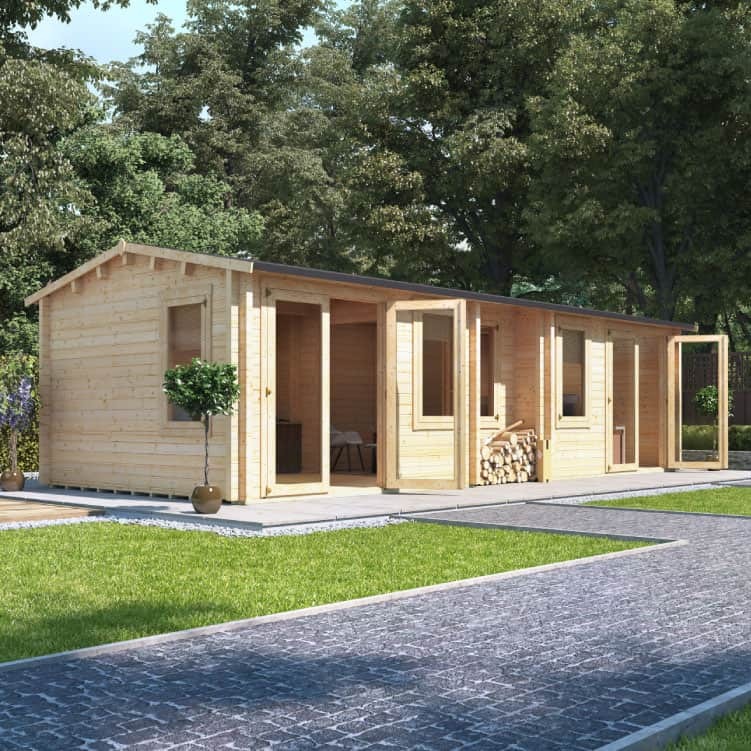 Each log cabin has a unique design which suits a range of modern and traditional gardens, as well as being great for relaxing, working or entertaining. 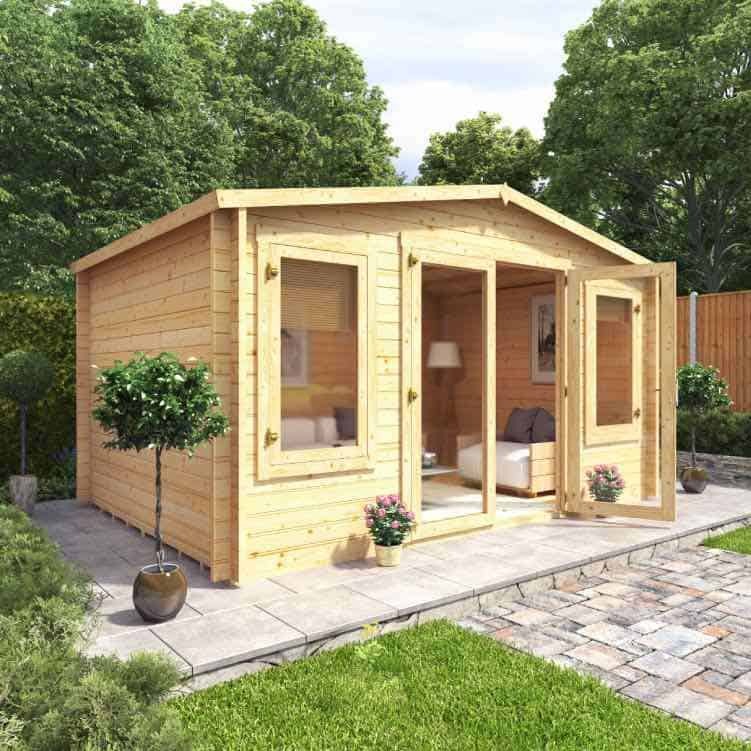 If you’re looking for a modern summerhouse for your garden, the BillyOh Carmen Log Cabin is an ideal choice. Constructed using 19mm T&G cladding, it’s a log cabin which is great for use during warmer, summer months. The long, modern windows and pent design offers a building which perfectly complements a contemporary garden setting. The building also features central double doors which allow for a light and airy building and good access. 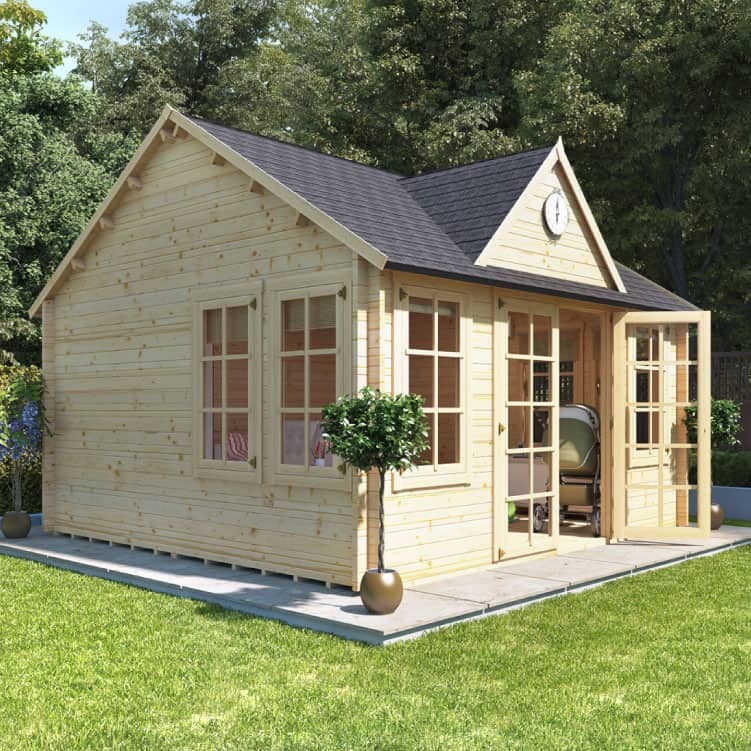 The BillyOh Miller Log Cabin Summerhouse makes a traditional, garden retreat. Designed with an apex roof and Georgian windows and doors, the summerhouse fits perfectly into a traditional garden setting. As the building is constructed using a 19 mm T&G cladding, it is suitable for use during spring and summer months. 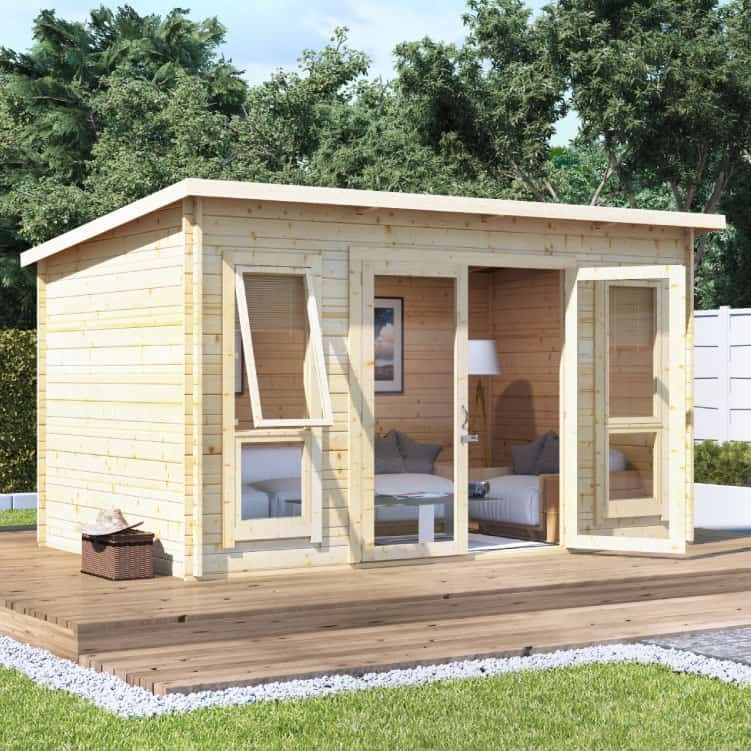 The BillyOh Devon Log Cabin is available in a range of log thicknesses starting from 28 mm. Providing the perfect space to relax, work or entertain, the building has a tall design and a strong T&G construction. The 28 mm thickness or the cladding means the cabin is best equipped for use during Spring and Summer months. You can also choose from traditional or modern styling on the windows, as well as floor and roof options. If you need a building for carrying out DIY jobs or summer hobbies, the BillyOh Alpine Workshop could be the perfect log cabin for your garden. The extra high doors mean accessing the building as easy as possible, as well as maneuvering large or bulky items. The 28mm cabin is available in larger sizes and offers more durability than the 19mm cladding. The stylish overhang offers shade and protection from the rain. 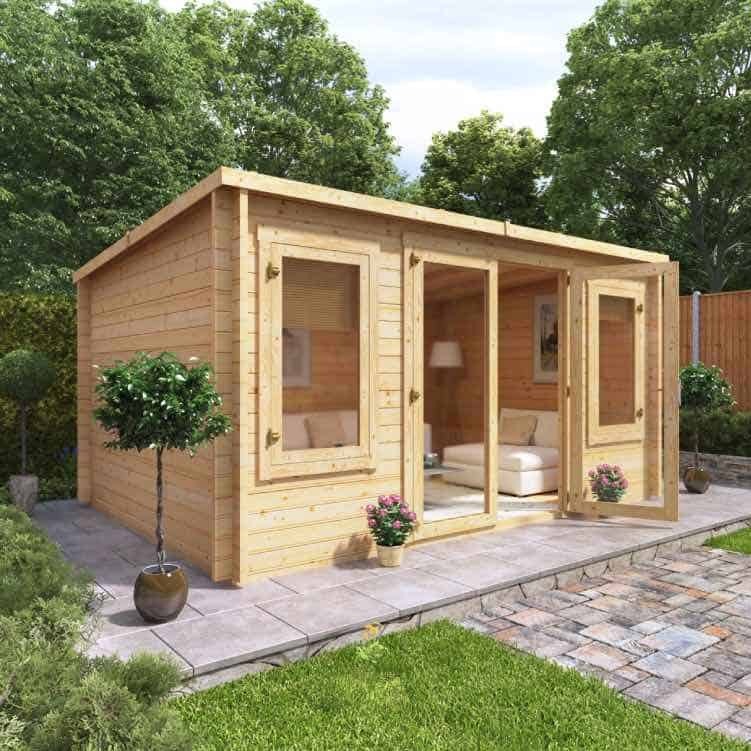 This spacious log cabin makes great use as a large home office for your garden. 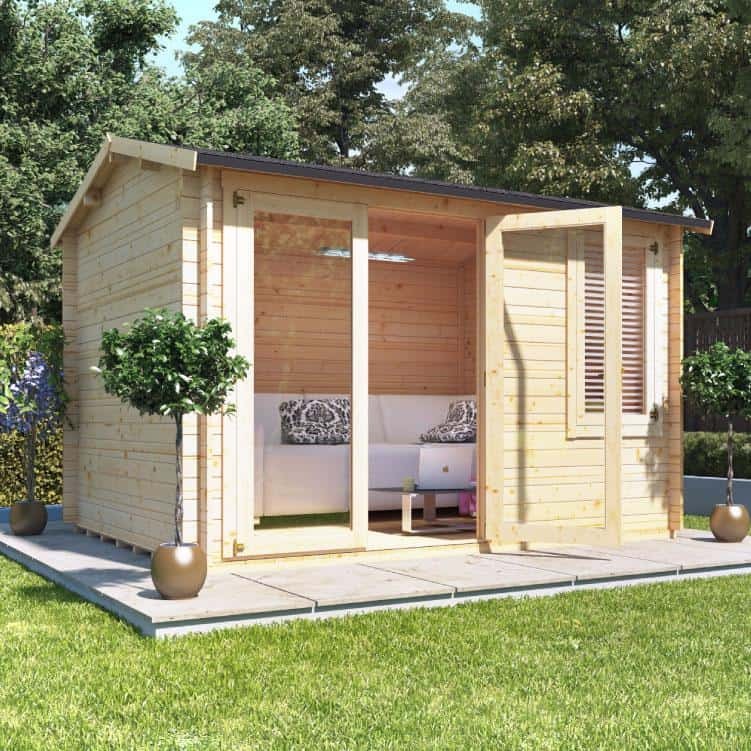 Designed with an extra high reverse apex and dorma, the building creates a real wow-factor in any garden. You can choose from single or double glazed windows, as well as an additional lean-to for storage if you need it. The 35 mm timber thickness is suitable for use in Spring, Summer and Autumn. The BillyOh Village Hall Log Cabin offers is a luxury garden building which provides the perfect space to entertain or relax with family and friends. The extra high reverse apex with dorma offers a traditional look which would sit perfectly in a traditionally styled garden. The cabin starts at a 35 mm timber thickness which offers great protection from the elements and means it is suitable for use during Spring, Summer and Autumn. The BillyOh Hub has a multi-room design which is perfect for anyone looking for a garden building which offers different uses. The open plan design offers three different areas for relaxing and working, as well as storage space. The large building is constructed using 44mm T&G cladding which enables the building to be used all year round. The Hub has a reverse apex design and reversible extra high offset doors and windows which provides a stylish and contemporary look to the building. The BillyOh Dorset Log Cabin has a reverse apex style which is the suited to traditional or modern gardens. The strong 44 mm timber provides great protection from the elements and allows for use during Spring, Summer, Autumn, and Winter. You can customise the building by adding a lean-to on the rear, right or left of the building. If you’re looking for a cabin which offers a multitude of uses, the BillyOh Pod Log Cabin is an ideal choice. 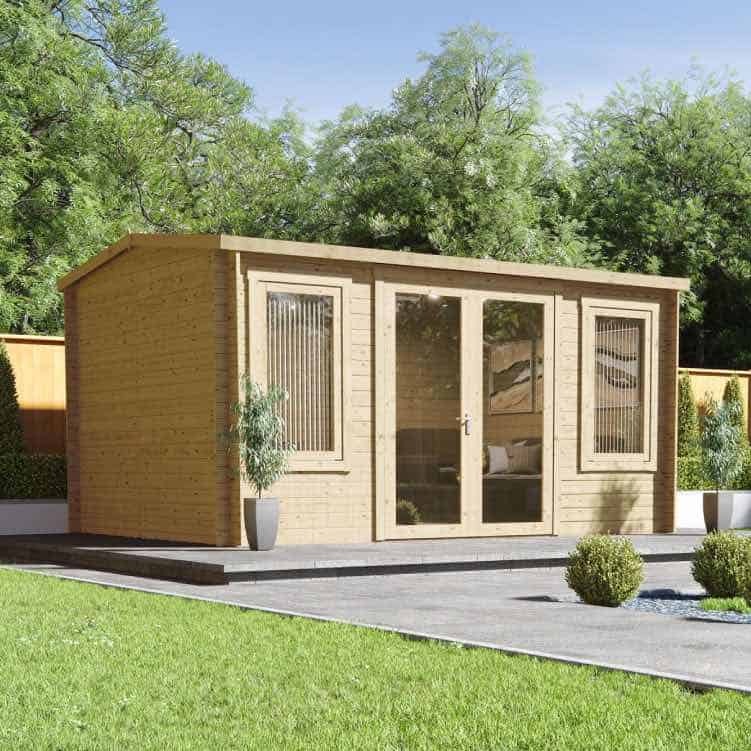 Offering the perfect space to entertain, work or play, the Hub provides a spacious retreat right in the heart of your garden. The 70 mm T&G cladding offers unmatched durability and strength which keeps it well-protected from the elements. You can use the log cabin all year round. The three separate pods can be used for working and relaxing in one building. The BillyOh Kent Home Office is available in the extra thick and weatherproof 70 mm T&G cladding. The 70 mm is double tongue and 150% thicker than 28 mm, offering unmatched durability and strength. Because of this, you can use the building all year round, even on the coldest days during winter months. Depending on how you are going to use your log cabin and how often, the thickness of the building can vary. If you intend to use the log cabin during warmer months, a 19mm thick summerhouse is an ideal choice. However, for a log cabin which you want to spend time in all year round, a 44mm or 70mm cabin is a better choice. 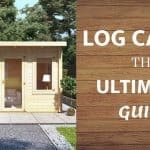 For more information about log cabins, take a read of our ultimate guide. Why not take a look at our log cabin customer stories?